Recently I've been having one terrible day after another. I'm in a funk and I just can't seem to shake it. I cannot wait for this week to finally be over! 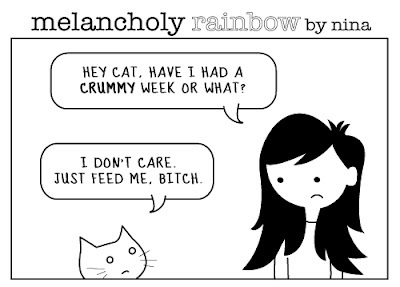 And no thanks to my pets who only use me for food and cuddles.